Get your Discount Cards While they last!! Now only $8!!! On SALE while supplies last!! 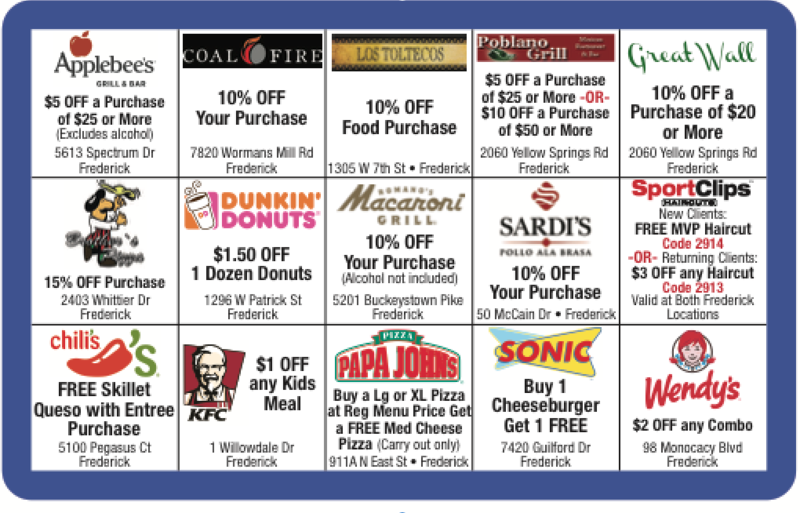 Please help support Whittier Elementary PTA by purchasing one of our discount cards, which can be used at various locations around Frederick over and over again through 12/31/19! Cards will be sent home with your student within 5 school days! All proceeds from the sale of the cards go directly to the Whittier PTA in order to help fund events and support the mission of the PTA! Please consider purchasing one for yourself and a friend!